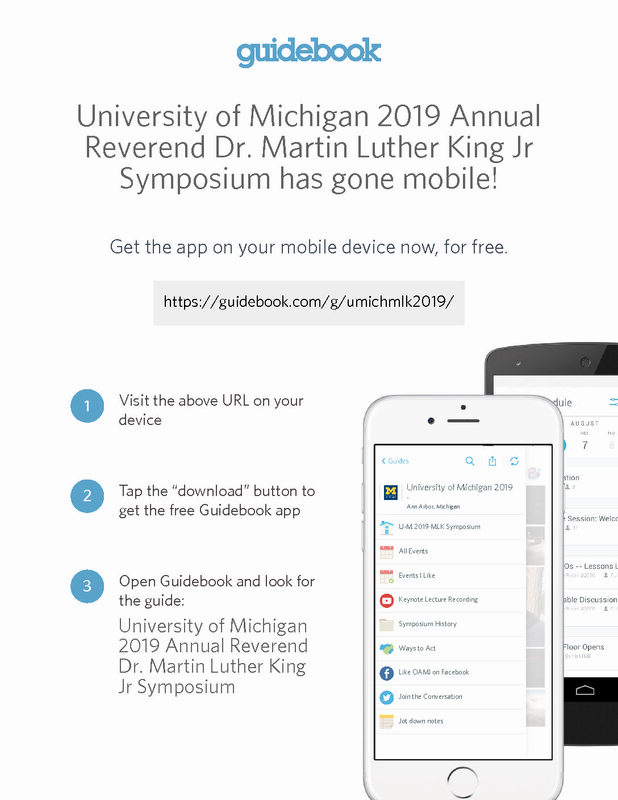 University of Michigan 2019 Annual Reverend Dr. Martin Luther King Jr Symposium has gone mobile! We’re excited to announce we have a mobile guide for you to use on Guidebook! Get the guide to access the most up-to-date information about our event, including schedules, maps, and much more.